I love finding new blogs. There are so many. 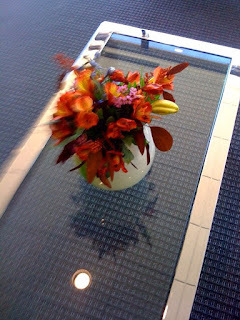 I've been bloggin now for a little over a year. I'm amazed at how easy it is to do "some" things with your blog, like change your background. There are so many cute/adorable free templates out there in the blogosphere. There is so much to learn on blogging, and I'm hungry for information but overwhelmed at all the blog supported sites available. Anyway, for those of you who are just starting out and need some tips, click here. I love bacon... just plain-o fried bacon.. who doesn't? I do not like "fake" bacon.. like bacon bits. I made it last night.. and was so proud of myself. and all I tasted was fake bacon bits. There is even a website for you bacon lovers, click here to go to Bacon Today's website. I discovered this catalog about 8 years ago. 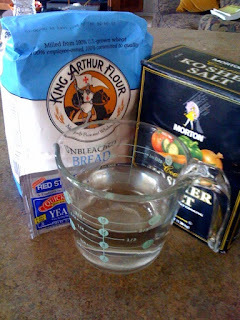 I just bought King Arthur Flour for the first time. I got it at Walmart. I used it for the "No Knead Bread", and I could see the difference from regular flour the moment I opened the package. 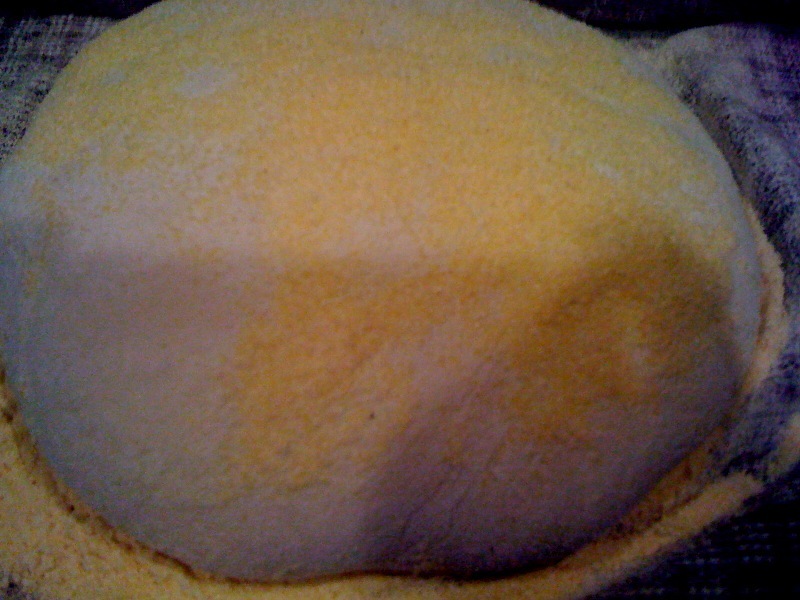 I never in a 1000 years dreamed that I'd get so excited over "flour". If you google "Jim Lahey's No Knead Bread", you'll find several blogs on this fabulous-o bread. I used the recipe from the "steamy kitchen" blog - but had the instructions from the original NY Times article. 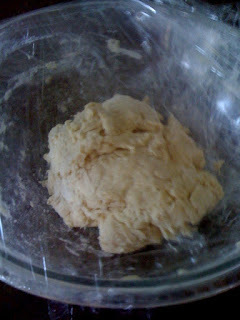 I mixed the ingredients together on Saturday @ noon. It took like 5 minutes. 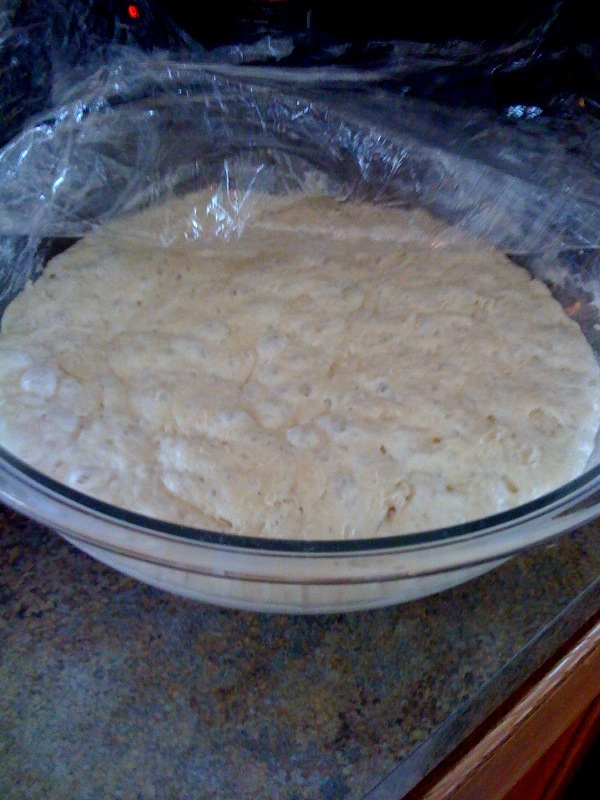 I used a glass bowl.. and put plastic wrap over the bowl and left it on the counter overnight. This is what it looked like Sunday @ Noon. I let it set until about 4pm. Then, I followed the directions from the NY Times recipe. 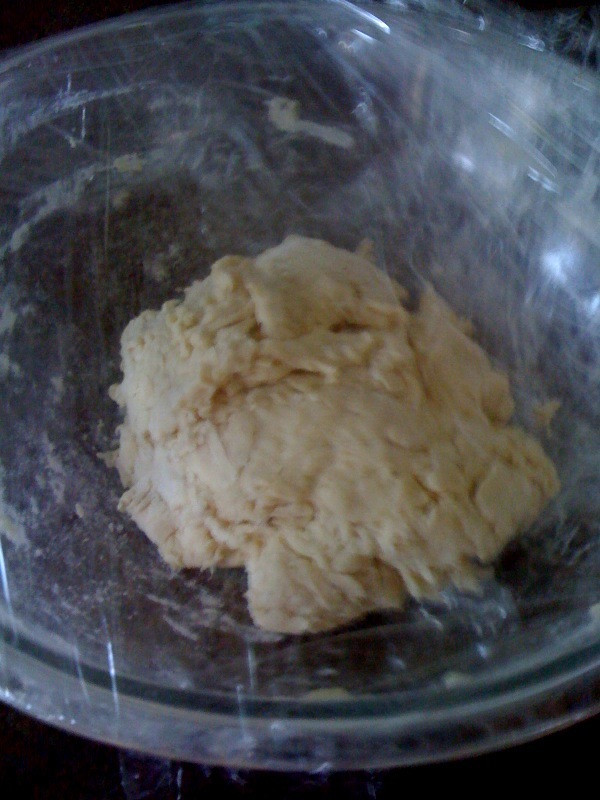 I floured the counter, and folded it over twice, then wrapped it in plastic (not shown). After 15 minutes, I wrapped the dough in cornmeal on cotton towels - and let it set for 2 hours. 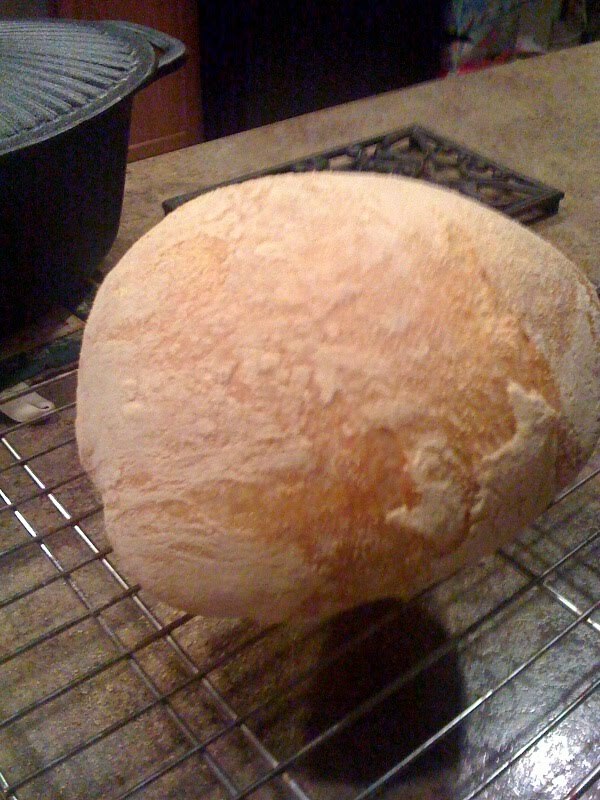 After the bread set for a hour and a half, I preheated the oven to 450 degrees and placed the empty cast iron pot in the oven for 30 minutes. 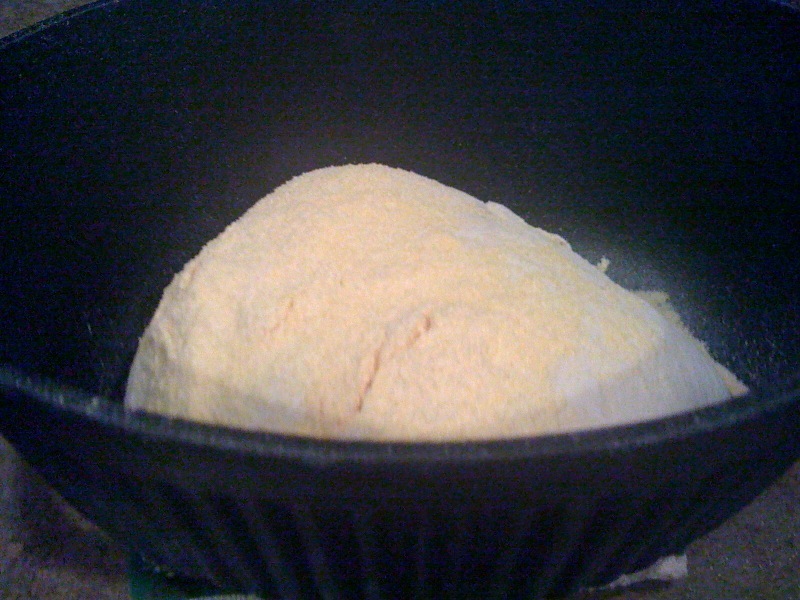 I placed the dough in the hot cast iron pot ( this is a 5 gallon Paula Deen cast iron pot). After 45 minutes (30 minutes with the lid on) and about 15 minutes with the lid off, the bread is done. I was amazed that it kept "crackling" while it was cooling on the rack. It was amazing. I wasn't sure how long you were supposed to let it cool, so I almost immediately had to slice into it. The outside was crunchy and firm, but the inside was warm and moist. 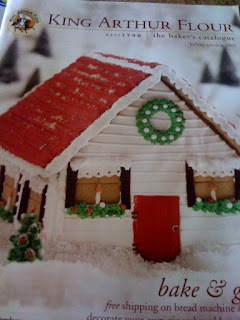 So easy to make - a 4 year old could do it! 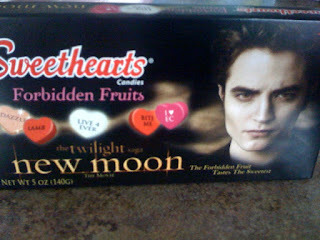 I just bought these - you can get them with Bella, Edward or Jacob's face on the box. Of course, I chose "EC"
I'm so excited.. I will be going to see the New Moon at Midnight "01" on Friday, 11/20.